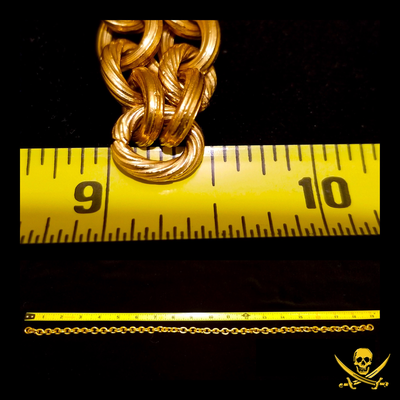 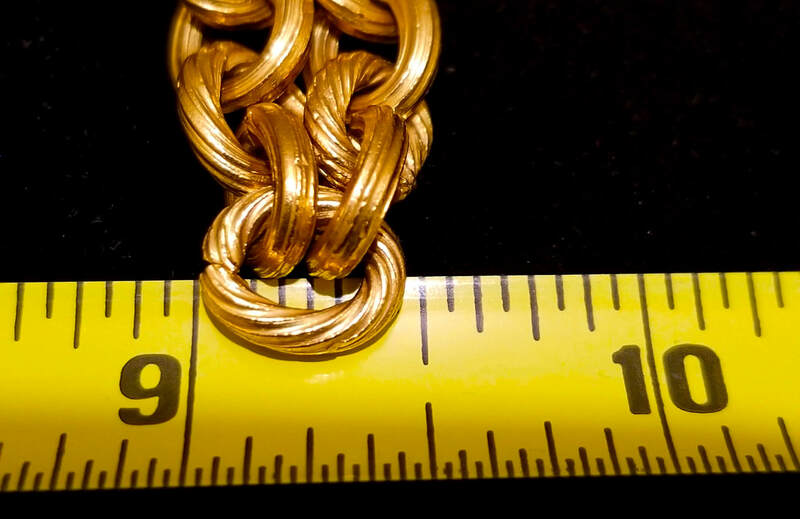 ATOCHA & SANTA MARGARITA GOLD MONEY CHAIN 77 TWISTED LINKS (MEL FISHER COA) PIRATE TREASURE This incredible piece is 19” in length and weighs 139 grams (between 4 and 5 ounces). 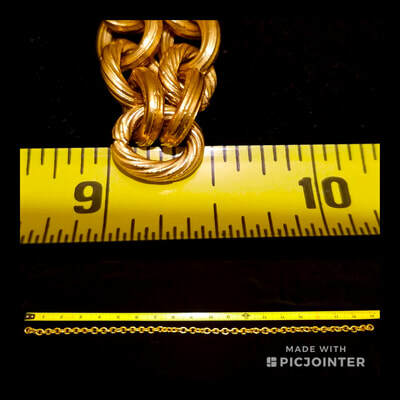 Each link is 3/8” and every other link has an opening (of course since was used as Currency to pay for Merchandise and Trade to avoid paying taxes, since jewelry was immune to the 20% King’s Tax). 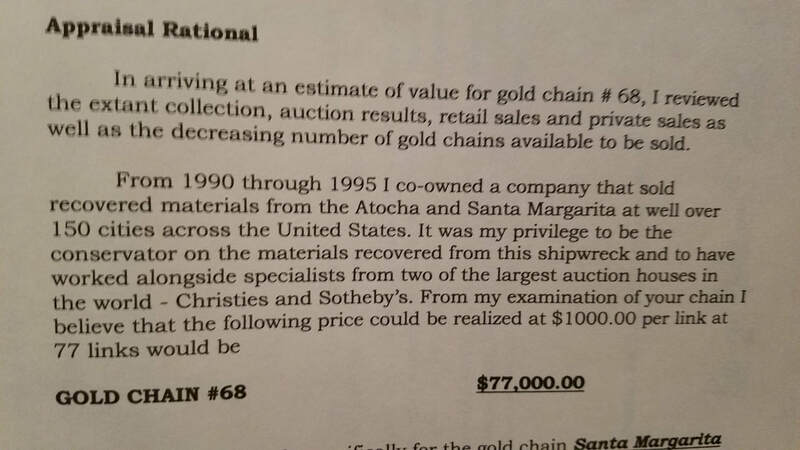 The PHOTO COA (from TREASURE SALVORS) on March 17th, 1985 (interestingly just over a Year prior to the motherload being found on the Atocha), is a very early COA and reflects “Article #68” with a Crew member or Investor's Point Value of 973 points. There’s also an Appraisal (see in picture gallery), reflecting a Value of $75,000 back in 1995 by Leah Miguel (who you’ll notice is also the Curator on the Mel Fisher (Treasure Salvors) COA. Pieces this special RARELY come to market and this is an opportunity you won’t want to miss out on!!! We are Honored to offer this piece in the open market. 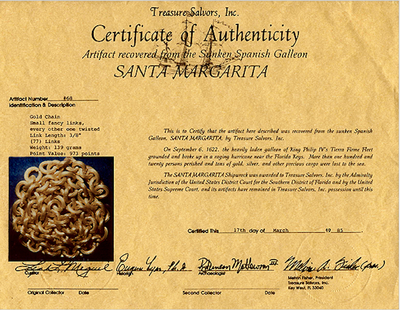 This beautiful work of art (created almost 400 years ago) was found on the Santa Margarita (the Sister Ship that sank within eyeshot of the ATOCHA), which sank on Sept. 4th 1622, just 40 miles west of Key West. 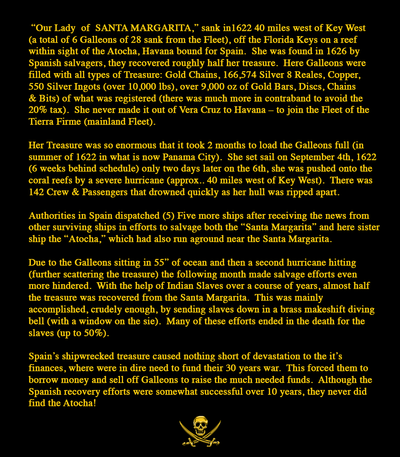 A total of 6 Galleons of 28 sank from this Fleet, off the Florida Keys on a reef within sight of the Atocha, Havana bound for Spain. 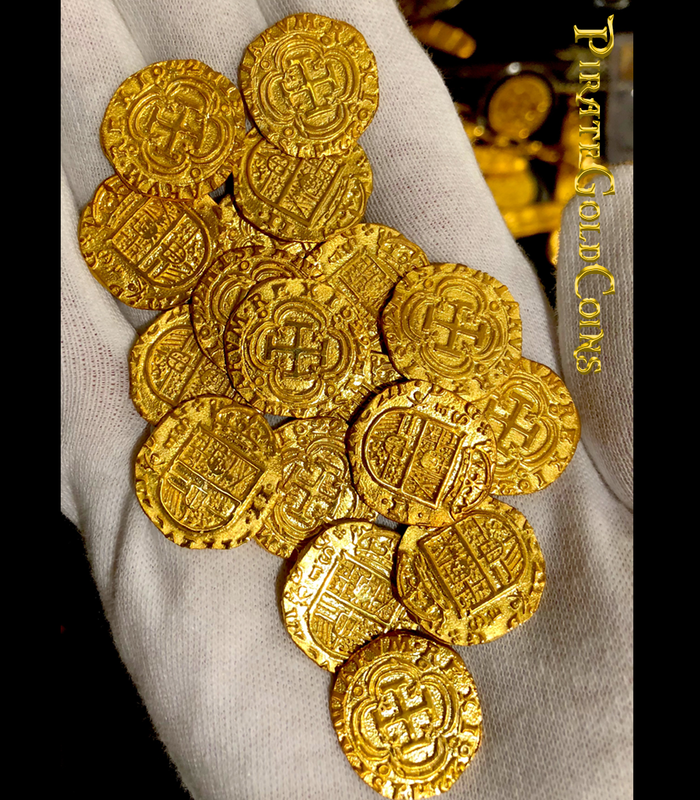 She was found in 1626 by Spanish salvagers, they recovered roughly half her treasure. 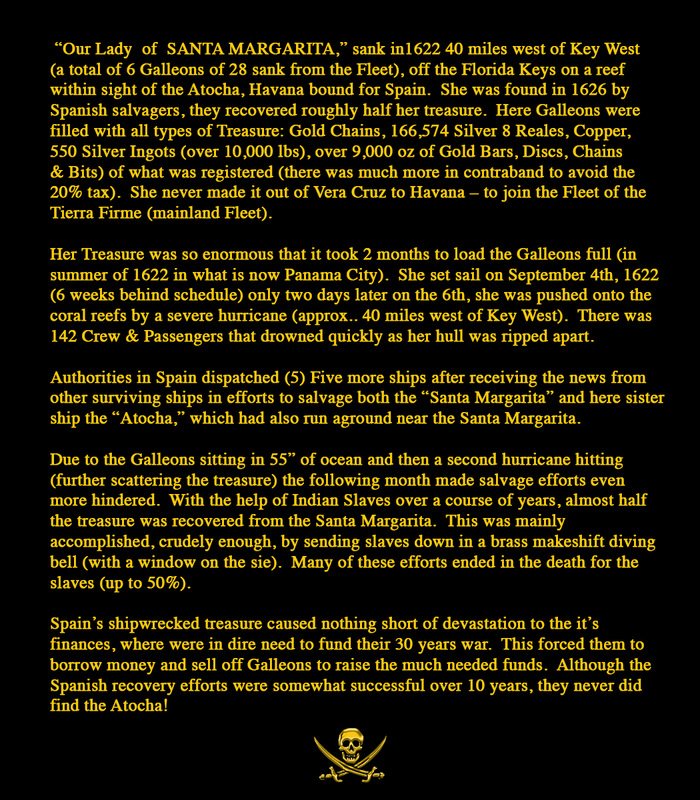 Her Treasure contained: Gold Chains, 166,574 Silver 8 Reales, copper, 550 Silver Ingots (over 10,000 lbs), and over 9,000 ounces of GOLD BARS & DISCS, Chains and Bits. See the above pictures that tell the whole fascinating story!